Prime labels are labels appearing on a product providing identification, information and branding. Since prime labels are prominently affixed to products, it’s essential they effectively reflect and express both the quality and branding of what’s inside. This label is typically one of the first things to catch a consumer’s eye and can separate the product, on first impression, from its competitors. Custom-branded, vibrant prime labels need to have superior graphic design elements to appeal to the consumer, thereby drawing him or her to the product to select and purchase it. Pressure sensitive labels (PSL) are one of the most popular labeling choices, with good reason. 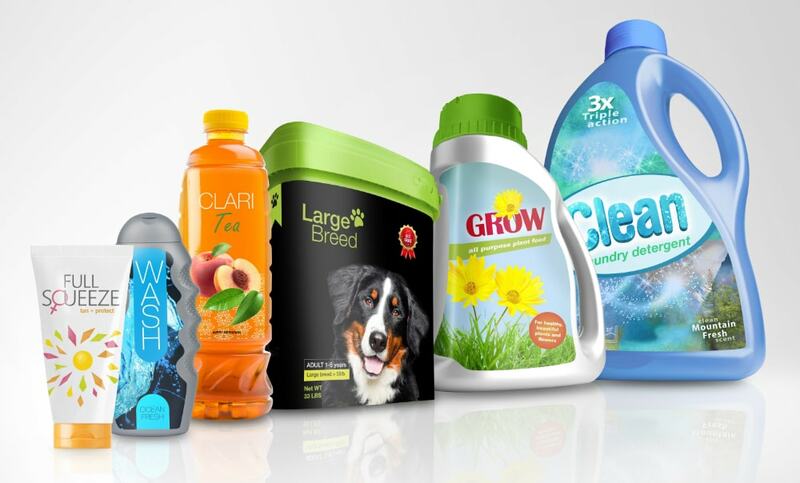 To the consumer, pressure sensitive labels appear high tech and imply a high quality. These labels use various materials, such as film, paper, and foil, and being self- adhesive, they work with most types of containers. Where a no-label look is wanted, the pressure sensitive label fits the bill, allowing for use of transparent materials. Pressure sensitive labels are the go-tos for products needing to attract attention. Besides providing high durability, these labels enrich the appearance of their products by their use of four color process on paper or film with a lamination or varnish finish. All labels are engineered to exact specifications, based upon what best suits each application, ensuring excellence and satisfaction for all involved.